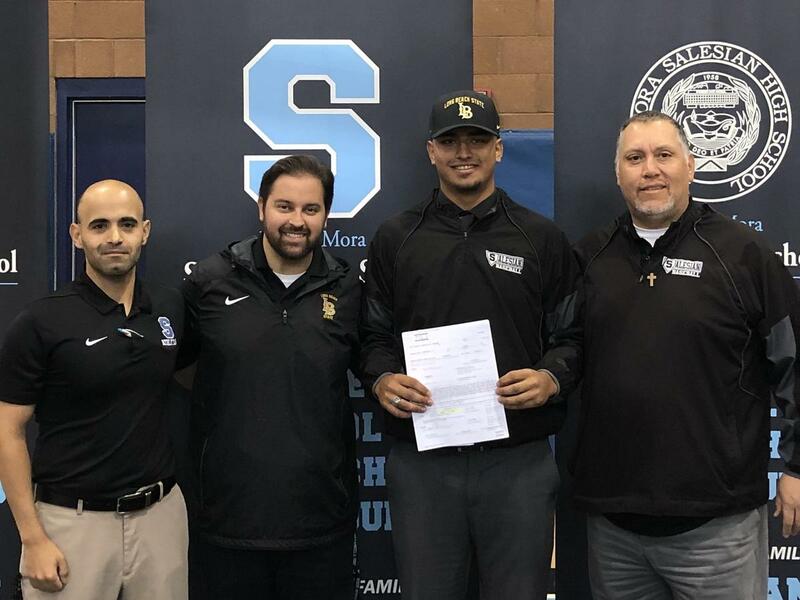 Starting pitcher and senior, Luis Ramirez officially accepted and signed his offer today to join California State University, Long Beach in the Fall 2019. 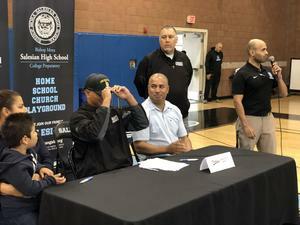 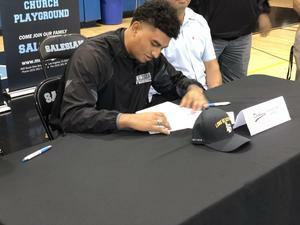 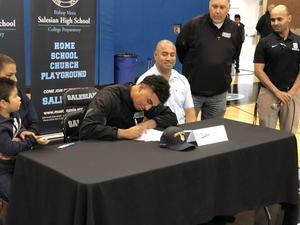 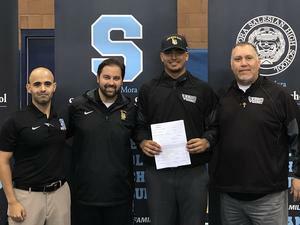 During our school's Salesian Good Morning assembly, Mr. Tommy Loera, Athletic Director, announced to the school community that Luis Ramirez has been offered a spot on the Baseball team at CSULB for the 2019-2020 school year. 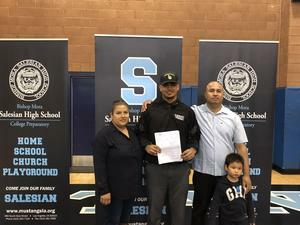 Luis was joined by his family today, as he officially signed to the university. Remarks were also made by Baseball Coach, David Sifuentes, on Luis' talent and character.